Fender Bender Scroll Saw Pattern. 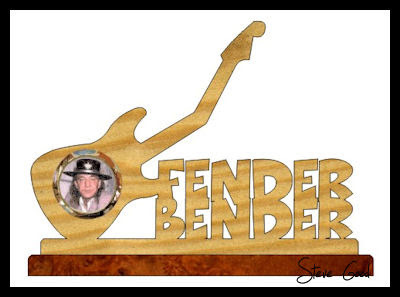 The guitarist in your life may not be the Fender bender that Stevie Ray Vaughan was but you can still make this picture frame for him or her. The frame is a 50mm mini insert picture frame available from Woodcraft and other sources.